Just as slime bravely escaped the first laboratory he falls right back into another one made by the same dastardly company that imprisoned him the first time around. He has totally run out of luck. 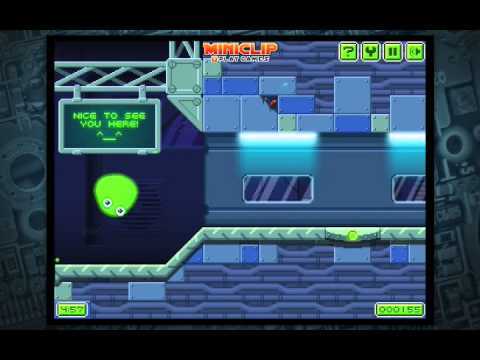 Only you can help him escape the monstrous experiments that await him in Slime laboratory 2. Be prepared to face the most exciting and challenging levels ever to be seen in by a tiny green ball of slime in a platform adventure game. Use all of your physics knowledge and game playing skills to avoid being stabbed with spikes, burnt with acid, zapped with lasers, and even torn in half! That’s no way to look after a ball of slime so be careful and you may just get to the end and set Slime free once more. By clicking "Add Slime Laboratory 2 to Your Website", you agree to the Webmaster Terms and Conditions.